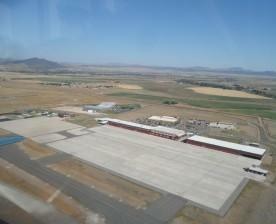 The Helena Regional Airport has had a long standing partnership with the U.S. Military. Military aviation in Helena dates back to the 1930’s. During the 1940’s, Carroll College and Morrison Flying Service collaborated on Army and Navy flight training programs. The original Army Aviation Support Facility (AASF) and an infield helicopter ramp were constructed on the south side of the Airport during the 1960’s. In 1994, the AASF relocated to its present location on the north side of the Airport. The AASF is home to the 1-189th Aviation Battalion, which operates three types of helicopters: UH-60 Blackhawk, CH-47 Chinook and the UH-72 Lakota. C-12 fixed-wing aircraft are also based at the AASF. The Aviation Readiness Center is also located near the AASF campus. The facility includes a large ramp for helicopter operations and a “heavy ramp”, which is capable of supporting the world’s largest military aircraft. 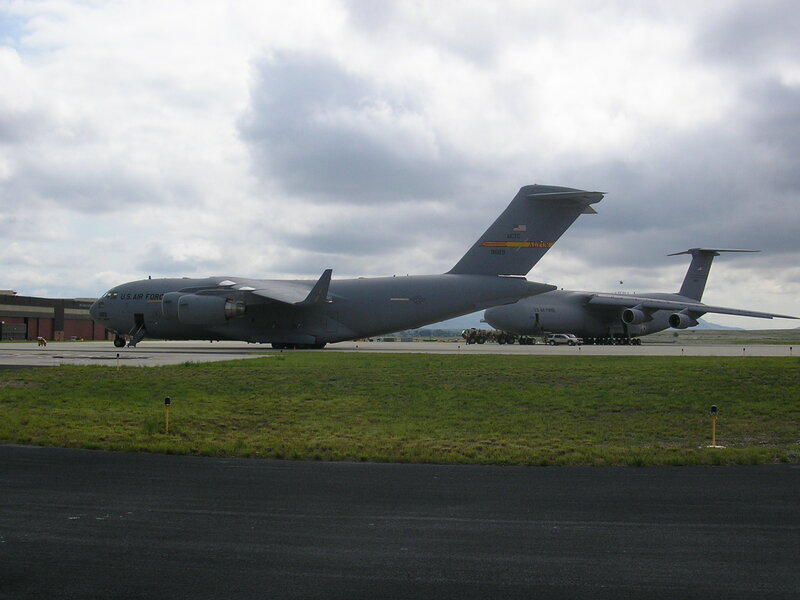 The heavy ramp allows large transport aircraft to park while loading or unloading personnel and equipment in support of the Army’s global reach missions anywhere in the world. The Helena Regional Airport’s 9000-foot long runway can accommodate any of the large military aircraft in use today; it is not uncommon to see C-17’s, C-130’s or even C-5 transport aircraft operating out of Helena’s Army Aviation Support Facility.